Soon after this on an autumn night I heard the voice of an old man (and this time I knew that it was Philemon. He said: I want to turn you around. I want to master you. I want to emboss you like a coin. I want to do business with you. One should buy and sell you. You should pass from hand to hand. Self-willing is not for you. You are the will of the whole. Gold is no master out of its own will and yet it rules the whole, despised and greedily demanded, an inexorable ruler: it lies and waits. He who sees it longs for it. It does not follow one around, but lies silently, with a brightly gleaming countenance, self-sufficient, a king that needs no proof of its power. Everyone seeks after it, few find it, but even the smallest piece is highly esteemed. It neither gives nor squanders itself Everyone takes it where he finds it, and anxiously ensures that he doesn’t lose the smallest part of it. Everyone denies that he depends on it, and yet he secretly stretches out his hand longingly toward it. Must gold prove its necessity? It is proven through the longing of men. Ask it: who takes me? He who takes it, has it. Gold does not stir. It sleeps and shines. Its brilliance confuses the senses. Without a word, it promises everything that men deem desirable. It ruins those to be ruined and helps those on the rise to ascend. 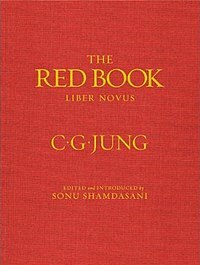 ~Carl Jung, The Red Book, Scrutinies, Page 337. Previous Previous post: Carl Jung on the decline of traditional values in India and China.